On Sat. 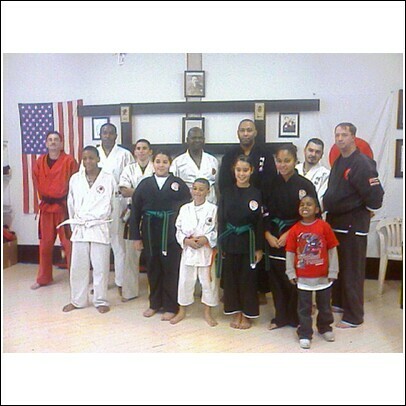 Nov. 7th we had 5 children test for Belts. the Chief Examiner was Soke - dai Carlos De La Cruz from Tombo kai International, myself and five other Black Belts from Shoju-kempo ryu and R.I.Shotokan Karate-do, Shojukempo International Martial Arts Association, Tombo Kai International. the test went very well. Soke - dai De La Cruz was very impressed with he had seen. the children perfromed with spirit and honor! 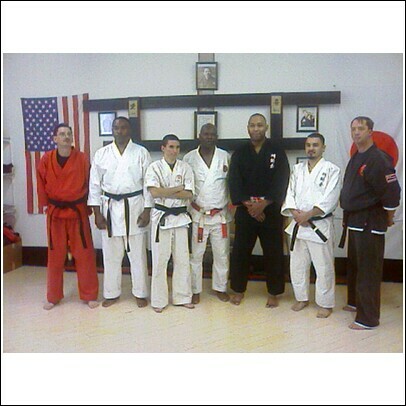 Sensei Ed Marcello, Sensei Yusaf, Sensei Connelly, Sensei Jose, Sensei Joseph and Soke - dai De La Cruz. On Dec. 13th the R.I.Shotokan Karate-do Shoju-kempo ryu Honbu Dojo. hosted their last Belt test of the year. they have 7 new Black Belts that. were Promoted to there next rank and students were promoted to the next belt level. Christoper J. Dacey ( Rokudan ) Shoju-kempo ryu. Jim Batista ( Yondan ) Shoju-kempo ryu. James Coleman ( Sandan ) Shoju-kempo ryu. 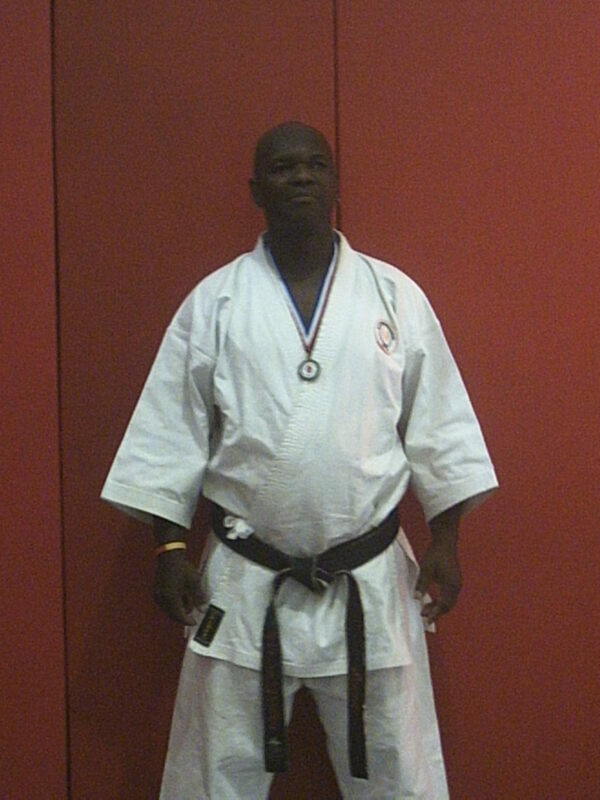 Mamadou Fofana ( Nidan ) Shoju-kempo ryu. Joseph Taylor ( Shodan ) Shoju-kempo ryu. On Oct. 28th 8 members and familys from Team R.I.Shotokan attended the Greater Connecticut Traditional Karate-do Challenge. the day started with kata, team members sat and watched Children and Adults perform their kata. then it was time for Kumite Jr. Sempsi Deseree Cama steped in the ring for the first time, this was her first Traditional Karate Tournament she gave it her all and lost. but she learned a great deal from the experence. then came Jr. Sempai Joseph Taylor this is his 3rd Traditional Tournament the 2 were upsetting for him. 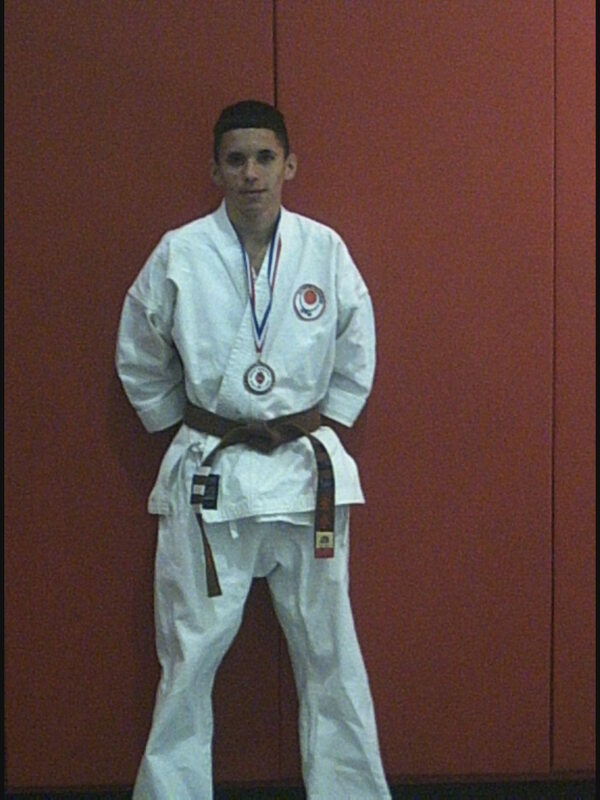 this time he was focused and perfromed with great honor and when it was over he came out with a Bronze Medal in Kumite! 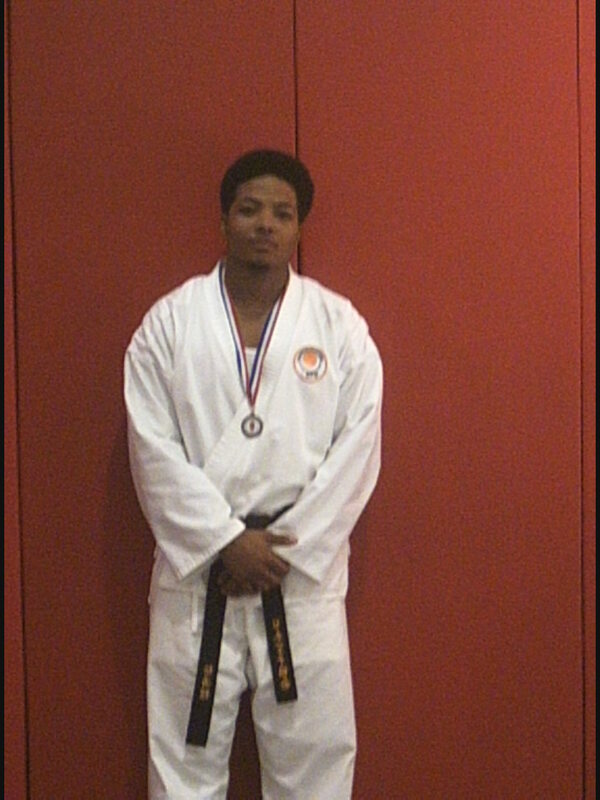 Now, we come to the mens Black Belt fighting first up was Renshi Jeramy E. Devlin - Martin the Capt. of Team R.I.Shotokan Renshi showed great skills. but, he came up short 2 pts he lost by 1/2 pt. then came Nkose Anothny a very strong fighter who puts fear in you when you face him he also lost my 1/2 pt, then came Sempai Mamadou Foffana Team Co. Capt this 6 ft 2 Black Belt was on his game he captured the Bronze Medal and we come to Stiles Johnson a student who has trained with Master Martin since Jr. High School a green Belt who fought in the mens Black Belt Division he also captured the Silver Medal. now we come to the Seniors 35 and over, Team Asst. Coach Sensei Ed Marsello showed his Boxing skills along with his karate it was 20 yrs. 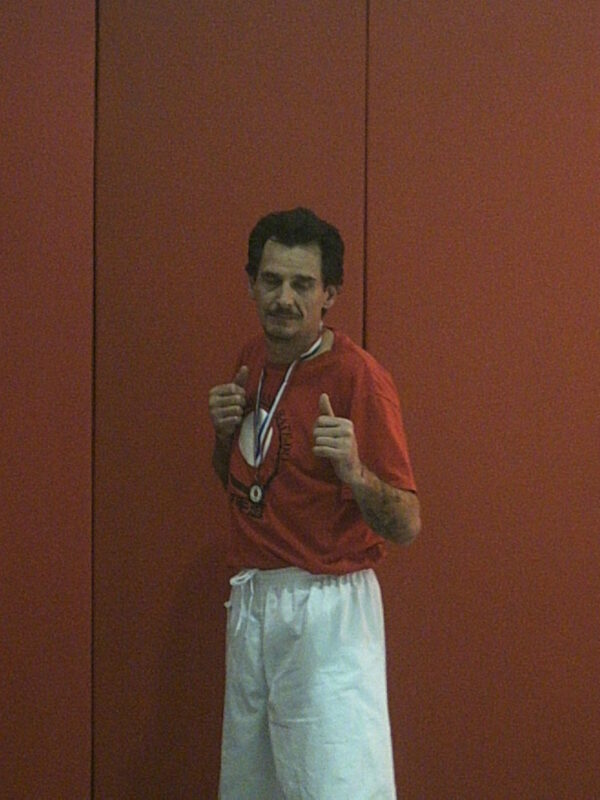 since Sensei Marsello entered the ring, he to captured the Bronze Medal. 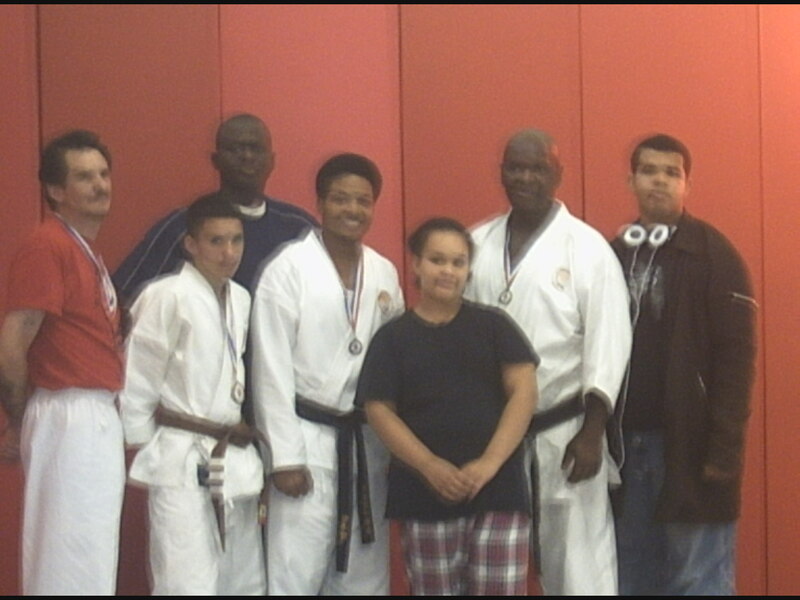 the last person to fight was the Back bone of Team R.I.Shotokan, Team Coach Prof. Larry S.L. Martin entered the ring for the first time in 4 yrs. and boy was it a battle of skills he showed what a real Karateka was like crisp & sharp techniques when the smoke was cleared Master Martin captured the Gold Medal in the Seniors Division. all and all they came with 8 members and captured 5 Meadles. now, thats an impressive Victor!